All Grain Plus Extract Strong Scotch Ale homebrew recipe. 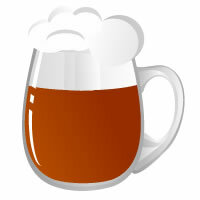 This homebrew recipe uses the following ingredients: Liquid Malt Extract - Pilsen - US, Vienna LME, Liquid Malt Extract - Munich - US, Brown Sugar - US, Crystal 45L - UK, Smoked Malt - DE, Amber - UK, Melanoidin Malt - US, Chocolate Rye Malt - DE, Dry Malt Extract - Light - US, Apollo Hops, Cluster Hops, White Labs Edinburgh Ale WLP028 Homebrew Yeast. This recipe was cloned from Pre Pro.